The executive producer of Operation Whitecoat, Randall Larsen, did a one-hour interview on the Jim Bohannon Show on June 1. Jim Bohannon is the number one nighttime talk radio show in America and is carried on 300+ stations across America. You can listen to the interview on the Jim Bohannon Podcast. The interview starts at 39:30 in the June 1 episode. Randall Larsen talks about his documentary Operation Whitecoat, remembering a U.S. Army program during the Cold War that used Adventist soldiers as medical test subjects in an interview with Spectrum Magazine. In an interview, Colonel Randall Larsen, USAF (Ret. ), shares his reasons for making the film, what inspired him to begin a career in filmmaking, and what he hopes the audience takes away from the self-funded Operation Whitecoat. Seventh-Day Adventist Church, North American Division. For press inquiries, contact info@randalllarsenpresents.com. 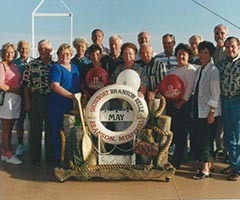 These images form the start of an archive of photographs, documents, and video clips about Operation Whitecoat that continues to grow. 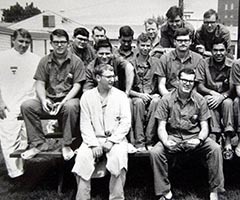 Attention Whitecoats: In 2005, Dr. Phillip R. Pittman published a study (based on a self-administered questionnaire that inquired about health status) on 522 former Whitecoats: "An Assessment of Health Status among Medical Research Volunteers Who Served in the Project Whitecoat Program at Fort Detrick, Maryland”. This report is in the documents section of the Gallery. Ash developed an eye for stories of human ingenuity amidst the intricate mosaic of Bombay, India. His commitment to a nuanced understanding of the American narrative earned him a top valedictory honor from the University of Virginia for “embodying the illimitable freedom of the human mind” as Thomas Jefferson envisioned. Avenues for his work have spanned public broadcasting, educational institutions and independent features. Ash currently lives in Providence, Rhode Island and produces multimedia at Brown University. 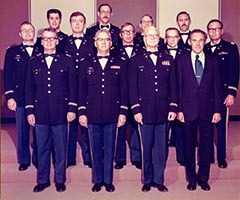 We greatly appreciate the assistance and support of the United States Army, USAMRIID, the General Conference of the Seventh-day Adventist Church, Dr. Frank Damazo, Ken Jones, Art Walls and a host of other Whitecoat volunteers who participated in the production of this definitive documentary of Operation Whitecoat. Copyright © 2017 by Randall Larsen Presents, LLC.